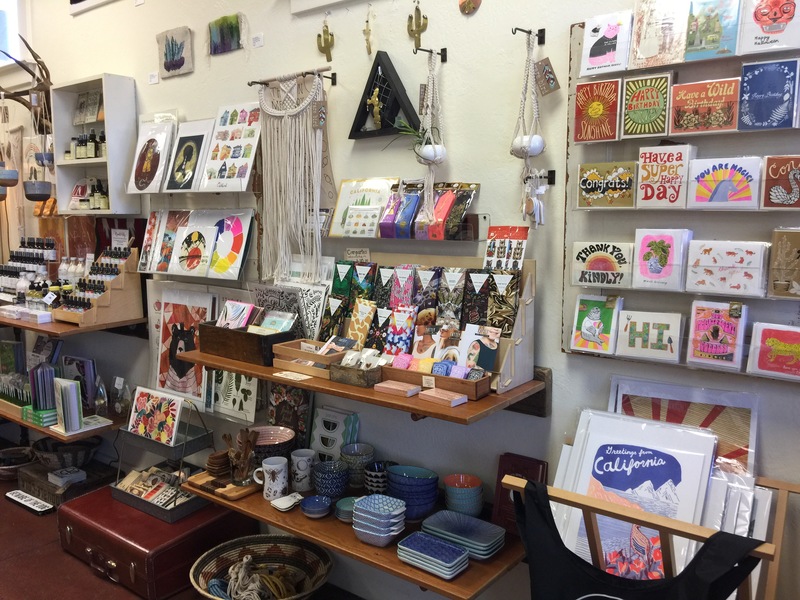 First shop feature of the year: Rare Bird in Oakland! I hadn’t visited until I taught my first class here last Fall, but Rare Bird has been around for over seven years now. And no wonder, shop owner Erica has curated an amazing collection of goods from all over. I visit and feature a lot of local shops, and to some, it may seem like the same old stuff, but each one really has it’s own style and personality. Rare Bird definitely packs a lot of patterns, boho-fab looks, and can be a shop for everyone. There are goods for the home including candles and wall art, a selection of menswear, these awesome speakers (made by Erica’s partner Matt! ), goods for plant lovers, creatives, chocolate snobs, and so much more. And I love, love, love the women’s clothing and accessories collection. I cannot get enough embroidered dresses and tunics, and pretty patterned pouches! Next time you’re in the Piedmont area, give Rare Bird a visit!